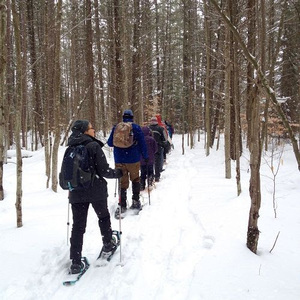 Great Hollow is teaming up with the Naromi Land Trust and Connecticut Audubon Society to lead a snowshoeing exploration of Deer Pond Farm in Sherman. If we get skunked and there’s still no snow on the ground, we’ll simply turn the program into a guided hike! This is a family-friendly event that is open to all levels, including beginners. Come learn about each of these conservation organizations and how to enjoy the outdoors in winter.Registration with Connecticut Audubon is required in advance of the event. Please click here or call them at (860) 799-4074 for additional information.